Keep your toddler stylish and comfortable on the water with Beach Basics' River Sandal. Designed with a velcro straps that ensures that this sandal will stay on your toddlers foot, comfortable EVA footbed and tacky rubber outsole. Keep your toddler stylish and comfortable on the water with Beach Basics &apos; River Sandal. 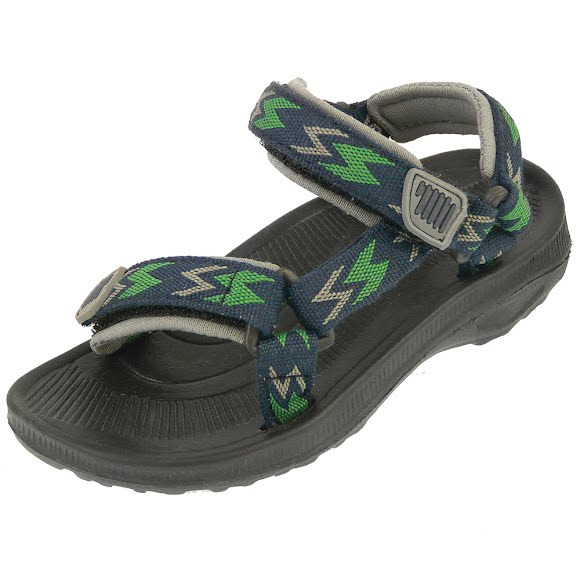 Designed with a velcro straps that ensures that this sandal will stay on your toddlers foot, comfortable EVA footbed and tacky rubber outsole.